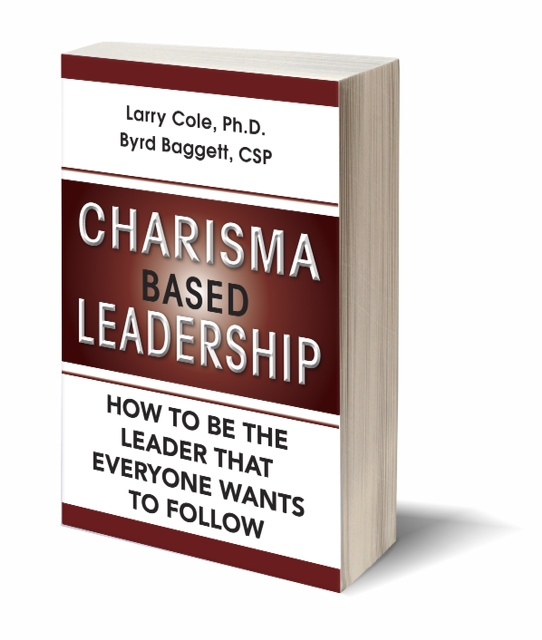 Here's a guest post by Larry Cole & Byrd Baggett, authors of Charisma-Based Leadership: How to Be the Leader That Everyone Wants to Follow. Effective leaders require both technical and people skills. Sad to say, the bulk of their training has been to ensure technical success instead of honing their people skills, which will in fact ultimately determine their success. There are many reasons for this asymmetrical development that are beyond the scope of this review. But consider the irony that the number one responsibility of leaders is to develop leaders. Research shows that the way leaders treat their subordinates is the number one reason this valuable talent leave the organization. 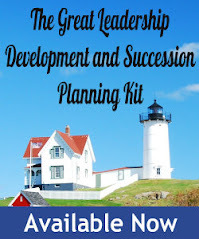 While our book, CHARISMA-BASED LEADERSHIP, is full of tips, strategies, and exercises on how to evolve into the leader that others want to follow and to help you to effectively develop leaders, here are four topics to help steer you in the right direction. 1. Values-based working relationships. We wish we had a dollar for every time we’ve been asked, “How do I motivate employees?” The short answer is you can’t motivate anyone but yourself. Effective leaders engage in behaviors that will help followers decide to become motivated and to likewise become effective leaders. Every leader needs to know how to create a workplace characterized by such values as trust, respect, communication, and teamwork to create peak performance. To get where you want to go, you must know how to get there. For example, how do you show employees they are valued? Through respect. Leaders typically don’t think in terms of behavioral definitions, but it’s easier than you may think. Accept each employee as an individual; ask them for their input, listen to understand that input, and the crowning jewel is using their input. Last, but certainly not least, provide recognition for a job well done. 3. I must accept responsibility for my behavior. You’re right; it is easier to blame others for your actions. But that won’t get you very far. To maximize your effectiveness as a role model for leadership development you must accept complete responsibility for your actions. Instead of running from mistakes, use them as learning opportunities. Exhibit responsibility to improve working relationships with your direct reports and internal customers, to add value, and to live Gandhi’s quote “Be the change you wish to see in this world.” Effective leaders focus on helping people be successful. Many organizational frustrations would automatically disappear if every leader lived this principle. 4. Controlling your ego. As one CEO said, “you were a person before being titled.” Charisma Based Leadership provides several suggestions to control your ego and be comfortable in your skin. A critical one is recognizing that everyone is equally important. You only havx to rxad this sxntxncx to rxalizx the importancx of xvxry lxttxr in thx alphabxt. This principle applies to everyone in your company. Larry Cole, Ph.D., created the TeamMax® methodology that measures behavior change in real time. Byrd Baggett, CSP, works with organizations to develop authentic leaders and passionate sales teams. Cole and Baggett are the authors of the True Growth® eBook Leadership Series. 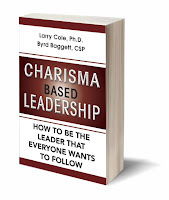 Charisma-Based Leadership: How to Be the Leader that Everyone Wants to Follow shares simple yet practical insights to help readers become high-performing professionals. It features easy-to-understand strategies that can be enacted in just minutes for high payoff. Great Post!! In response to point number 2, being able to lead change in the world today where change is so prevalent, the success of change always seems to be a part of leadership topics. I've learned as a project manager that one part of leading change is explaining why the change is occurring. This let's people understand the vision and gives the background for the change. The other part of leading change is giving people time to get used to the change. Management may spend months deciding on a change. Why would you expect others to accept change right away? Thanks Dan for sharing this great article. In my opinion, Charisma based leadership is the best leadership principle. I am sure it will be tough to practice because the charisma based leaders have to be role models and show it in action to win the hearts and minds of others. In fact, I added this book as one of my next reading lists to practice these principles. I think the world will be the better place to live if the leaders follow the principles mentioned in this article. Leadership is not an inborn talent. It takes a ton of experience to be a formidable leader. It has the very perks and privileges you know. Thanks for the advice! We have been having some issues with some of our supervisors and there are some helpful tips in here. We have been looking into getting them some supervisor training courses.. has anyone used any course like this before? Thoughts? In response to this, I am glad that I've learned and gain important informations about being an effective leader.I know I will be able to share this to other people some day. "I must accept responsibility for my behavior"
Taking responsibility for my actions is a bit difficult but needed. Most of the times, it is easier to blame it on the other members of the team or the circumstances. I aspire to be a better leader and this is something I definitely have to work on. I definitely agree that it is important for managers to accept responsibility for their behavior. With more power comes more responsibility. Not taking responsibility for ones everyday life along with your behavior, you might be weakening your energy. Generating excuses or blaming people for the adverse final result results inside a character trait which can be typical.